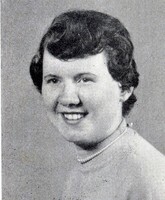 The Committee was informed that Margie passed away on November 4, 2001. There was no obituary found in the local newspapers. Her brother reported that she suffered from rheumatoid arthritis and was living in Nazareth at the time of her death. Her husband preceded her in death.